(CNN) - President Donald Trump is again trying to pressure a U.S. company to "bring jobs home," expressing displeasure with GM on Monday after it closed its Lordstown, Ohio, plant due to shifting customer demand. "General Motors and the UAW are going to start 'talks' in September/October. Why wait, start them now! I want jobs to stay in the U.S.A. and want Lordstown (Ohio), in one of the best economies in our history, opened or sold to a company who will open it up fast! Car companies are all coming back to the U.S. So is everyone else. We now have the best Economy in the World, the envy of all. Get that big, beautiful plant in Ohio open now. Close a plant in China or Mexico, where you invested so heavily pre-Trump, but not in the U.S.A. Bring jobs home!" Trump said in a series of tweets Monday, renewing a Twitter tirade he launched over the weekend. UAW is the United Automobile Workers union, which represents GM workers. On Sunday, Trump trained his ire on the local Lordstown UAW president, David Green, calling him a "Democrat" who "ought to get his act together and produce." The negotiations are being handled by GM and UAW International. Lordstown is the first of the four U.S. plants GM is closing following its November announcement of a major restructuring. It had 1,435 hourly workers last year at the time the company announced plans to close it. Production at the plant ended this month, and GM has said it will cut 8,000 U.S. salaried and contract jobs. Trump also said he spoke with GM chief executive Mary Barra. "I am not happy that it is closed when everything else in our Country is BOOMING. I asked her to sell it or do something quickly. She blamed the UAW Union — I don't care, I just want it open!" he tweeted, one of dozens of grievances he aired over the weekend, including complaints about the late Sen. John McCain, a Saturday Night Live rerun, and Fox News anchors. 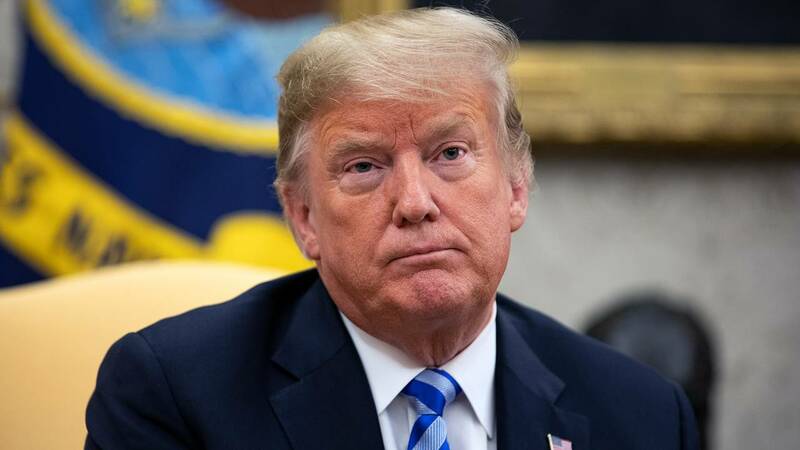 The president has sharply criticized GM and personally attacked Barra over the closure, which the company has said is connected to changes in its product lineup, not offshoring jobs elsewhere. The latest series of tweets recall Trump's early political success when, as a candidate, he pressured furnace maker Carrier to keep jobs in the U.S. They also come as the administration is trying to mobilize Congress to ratify the President's replacement for the North American Free Trade Agreement. Trump -- who frequently references the U.S. economy and low unemployment rates in tweets, during meetings with world leaders and in gaggles and interviews with reporters -- often complains he doesn't get enough credit for successes. GM reaffirmed in a statement Sunday that Trump won't affect the automaker's future plans: "To be clear, under the terms of the UAW-GM National Agreement, the ultimate future of the unallocated plants will be resolved between GM and the UAW," the company said.